Jared Tyler Owens was born on January 28, 1994 a son to Gary Owens and Lisa (Jarvis) Owens. Jared passed away on Saturday, September 8, 2018 at his home at the age of twenty-four. Survivors include his parents, Gary and Lisa Owens; two sisters: NaKiesha Owens, Whitney Owens and Fiancé Jerad Marler; niece, Amelia Gray; grandparents, Tom Jarvis, Charlie Owens and Paul Eye; aunts and uncles: Thom Jarvis Jr. and Bob Ormsby, Robyn and DeWayne McWilliams, Dennis Owens, Angela and Kenny Blair, Kenny Owens, Karen and Lonnie Johnson, and Alicia Owens. Jared is preceded in death by two grandmas: Janet Owens and Judy Mae Eye. The family will receive friends on Thursday, September 13, 2018 from 5-9 p.m. and Friday, September 14, from 9-11 a.m. at the DeClue Funeral Home. A Funeral Service will be held on Friday, September 14, 2018 at 11 a.m. held at the DeClue Memorial Chapel with Elder Mike Jarvis officiating. Interment and final prayers will be held at Lost Creek Cemetery. Funeral arrangements were entrusted to the care and direction of the DeClue Funeral Home. 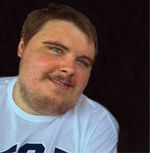 To send flowers to the family of Jared Tyler Owens, please visit our Heartfelt Sympathies Store.